Lumber from a nearby building supply store was scattered across the lot at Lachapelle Buick GMC. GATINEAU, Que. 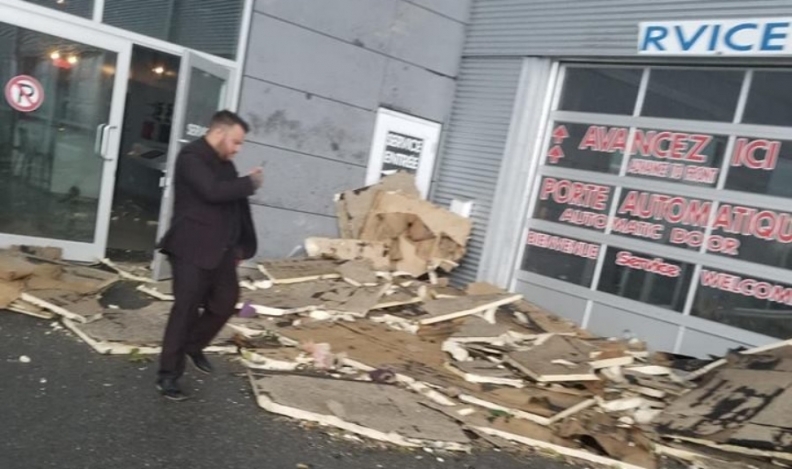 — Battered auto dealerships along a prime car-retailing strip in Gatineau, Que., were back in business Monday after spending a weekend repairing damage caused by a tornado that tore through the Capital Region on Sept. 21. 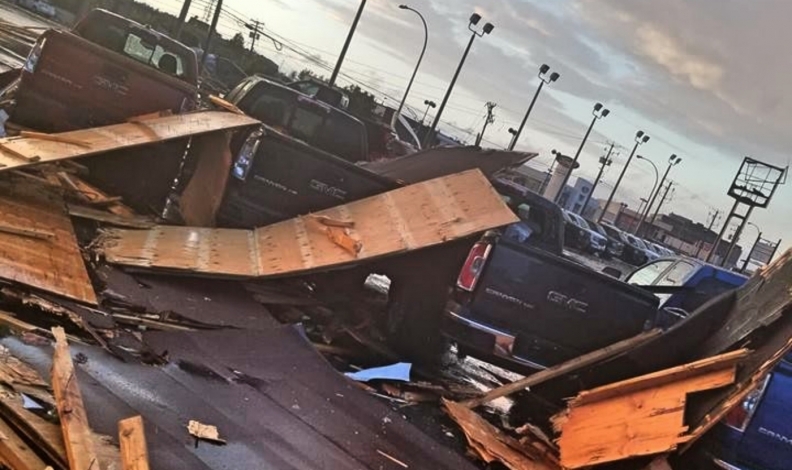 The tornado, one of two that hit the Ottawa-Gatineau area around the dinner hour, ripped open roofs and sent debris flying along St. Joseph Boulevard, home to nine new-car stores and other auto businesses. No injuries were reported on St. Joseph, which Surgenor Gatineau Chevrolet Cadillac President Andrew McGurn said was "incredible, considering what went through here Friday." Elsewhere, two people were critically injured and several others were taken to hospital. Many areas were left without power throughout the weekend. At Surgenor Gatineau, the body shop roof was damaged but the showroom was unscathed. Insurance investigators were on site Saturday but McGurn said it will be some time before a dollar figure can be put on the damage. "Today we're doing the inspection of all of our equipment -- our hoists, our doors, we had the building looked at on the weekend -- we're just double-checking, ensuring everything is safe and secure,” McGurn told Automotive News Canada on Monday. He praised staff for their work in ensuring the dealership could open Monday. "I'm so proud of their efforts this weekend," he said. An employee documents damage at Lachapelle Buick GMC. "We are in solidarity with our fellow dealers," Dupont & Dupont Ford posted on Facebook after the storm. "Tomorrow we roll the sleeves and start cleaning!" Lachapelle Auto, which has General Motors and Chrysler franchises on the strip, also suffered damage. It’s not yet known how much damage the tornado did to auto dealerships in terms of dollar amounts. And Ontario Premier Doug Ford said while touring the area on the weekend that it was too soon to put a dollar figure on the total damage.